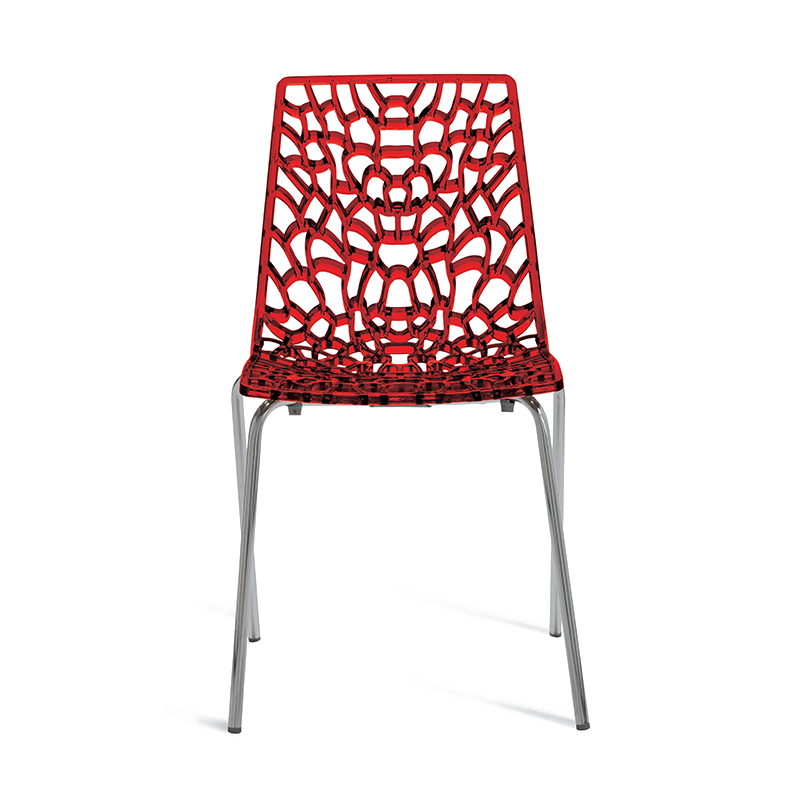 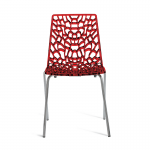 As far as chairs go, when it comes to funky and modern they don't come much better than our red web chairs! The back and seat of the chair features an intricate web design and due to their semi-transparent nature, they look particularly stunning when they catch the light. 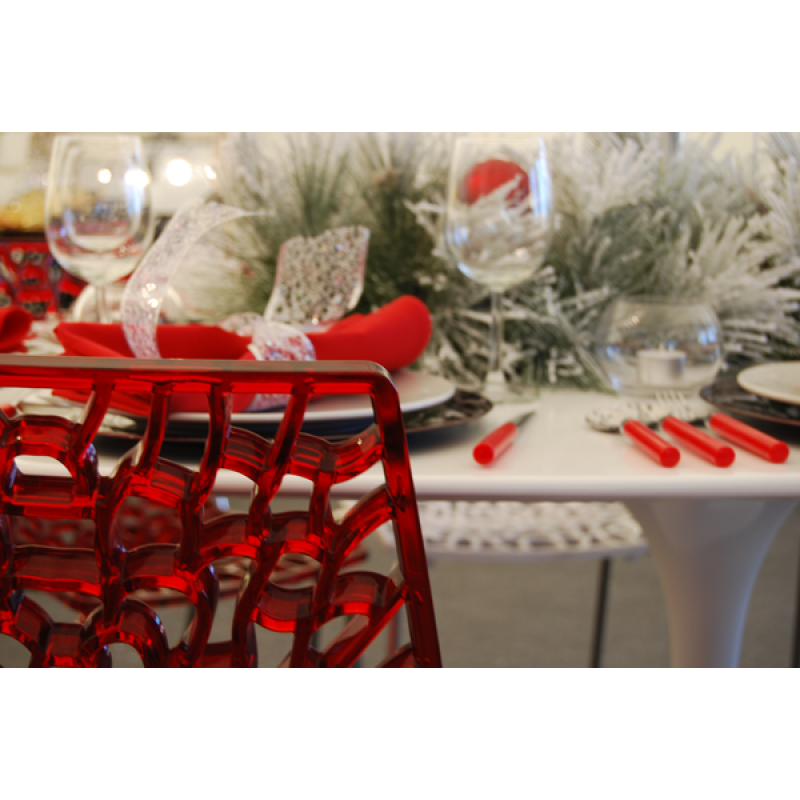 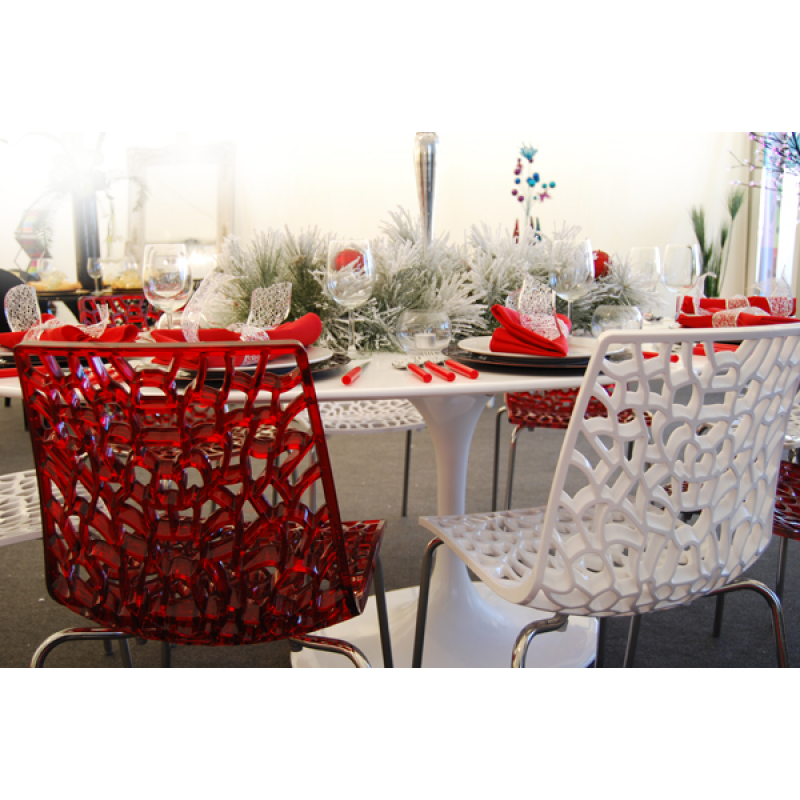 For an eye-catching look, why not try mixing and matching with our red white web chairs and black web chairs.